Why do we need nutritional supplements? There are a number of reasons. First and foremost, it is almost impossible to eat a highly nutritious and balanced meal on a regular basis. Either we are too busy or too stressed out to make good food choices, find healthy foods and prepare them, and then be able to digest our foods properly – the reasons are many. Our immune systems are under constant daily attack. On an environmental level, the soils have gradually become depleted of essential minerals. These depleted soils produce crops with less nutrients. Pollution in the air, land, and water from chemicals, radiation, and ELF/EMF (electromagnetic fields) have very damaging cumulative effects on our bodies and we often don’t even know that we have been exposed to these threats. Eating organic foods and using organic products can help mitigate these factors, but they are not solutions in and of themselves. As we age, our bodies become less efficient and we are less able to absorb our foods due to impaired digestion and lower production of the digestive enzymes which allow us to break down foods into nutrients. Some vitamins – such as Vitamin D – are almost impossible to get through diet – yet this “vitamin” is actually a hormone and is crucial to your health. When we are stressed, we also require more B-vitamins – and because these are water-soluble, they are not stored in the body and constantly need to be replenished. Over time, all these factors combine to make us nutritionally deficient and this leads to inflammation, imbalances, and toxicity – which all lead to diseases. So the primary reasons we take supplements are to protect our health and also to help remedy and reverse health conditions which can develop as we age. Source – What is the source? Is it organic? Is it toxic? Is it the best form of the nutrient? Process – How is the source nutrient processed into supplement form? Is this process toxic? Does it preserve the essence of the nutrient? Delivery – What form does the supplement take? Can the nutrient be absorbed by the body and be delivered into the cells or is it eliminated? Does the supplement also have the necessary co-factors to help the body to process and use the nutrient? The Happy Holistic is proud to offer the finest emulsified supplements available from Biotics Research, a family-owned company with over 35 years of product research and experience. The emulsification process used allows for greater absorption by the body and Biotics also ensures co-factors and enzymes are added to help process the nutrients. Biotics maintains complete control of its raw material selection process and conducts advanced testing and quality control on all materials throughout the entire process in its state-of-the-art manufacturing facility. 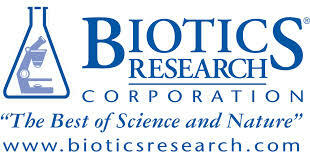 Biotics only distributes its products through healthcare professionals. 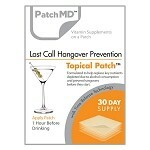 They make virtually every type of supplement or vitamin you can imagine. 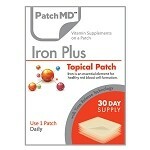 In my experience, these products are highly effective and surprisingly affordable. 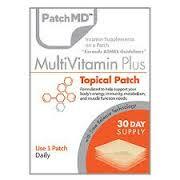 If you don’t like taking pills, you can always get your supplements by wearing a small patch on your body! 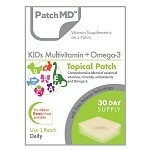 Patch MD offers time-released supplements you wear that are up to 95% absorbed by your body! These patches are only about 1 inch by 1 inch in size, they are applied to your skin and you wear them daily for about 12 hours at a time. Please contact me to provide you with the best supplements for your health condition. If the best supplement for you is not offered by these two fine companies, I will find the right product for you!